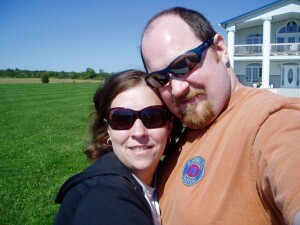 New owners Chris and Kristin Briggs here welcoming you to the new Tastings Wine and Beer website! We’re thrilled to be at the helm of Lexington’s preeminent wine and beer shop. We are committed to continuing Tastings traditions while infusing some of our own ideas and passions into the shop. Our calendar page shows some of the exciting events we have planned, so please be sure to check out our announcements about upcoming tastings, promotions and more! If you’d like to be added to our newsletter list please send an email to: news@tastingswine.com or sign up in the side bar. Next post: 12 Days of Tastings! No spam, just info on events and cool stuff in the shop! Tastings provides wine and beer for weddings & special events. The shop is also available for bridal showers, corporate meetings and private parties. We'll also provide private tastings in your home or at your event venue. Call the shop to schedule your event today! Our wine dinner is in the news! Check it out! Welcome to Tastings Wine & Beer! Love is in the air…Love of Hops that is! Kristin’s Guide to Champagne for the New Year! Reviews – Add Yours Too!